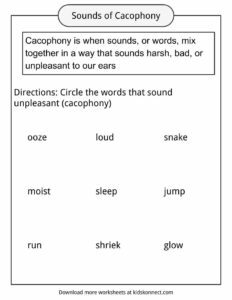 Cacophony is when sounds, or words, mix together in a way that sounds harsh, bad, or unpleasant to our ears. The sounds could be sharp, or they could sound like hissing noises. If you are sitting in a room with a group of people and everyone is talking, then the noise becomes loud and does not blend together well. The combination of voices does not sound pleasant and begins to hurt your ears. This is an example of cacophony that you can hear and experience normally. Many people use the example of a busy city to give an example of cacophony. If you stand on a busy street in a city, then you will hear many different things at once. You may hear cars rushing past and honking at each other. You may hear other people talking to each other or talking on the phone. You may hear wind rushing through the buildings. You may hear the click of shoes on the pavement. You may hear or see dogs. If there are trees, you may hear the leaves blowing. If it is raining, then you may hear the rain on the sidewalk. You may hear a street musician playing music. All of these sights and sound are happening at once, creating a cacophony, or a mixture of sounds that do not quite fit together. It is possible that you have heard music that you do not like. This music does not sound good to you. When you hear music you do not like, you are hearing cacophony. The sounds and instruments do not go together and the music, overall, sounds bad or harsh to you. 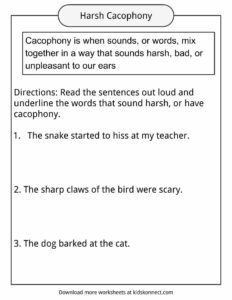 An easy way to think about cacophony is by thinking about words and sounds that do not sound good to our ears, as well as words that do not sound good together. These words are also usually hard to say as well. 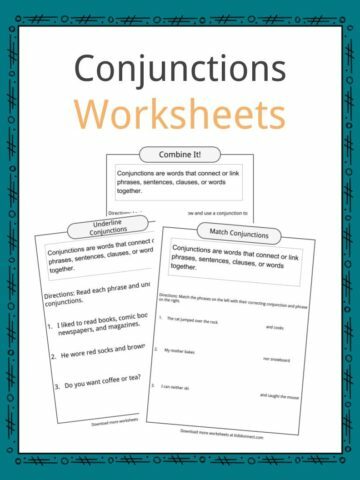 They do not work well together or flow easily when we say them. 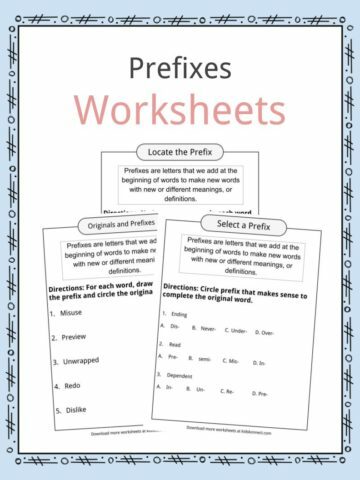 When you read the words listed above out loud, you find they are not pleasant words to say or hear. They have harsh and hard sounds, or the longer sounds make them unpleasant. Some of the words we may find disgusting or gross. 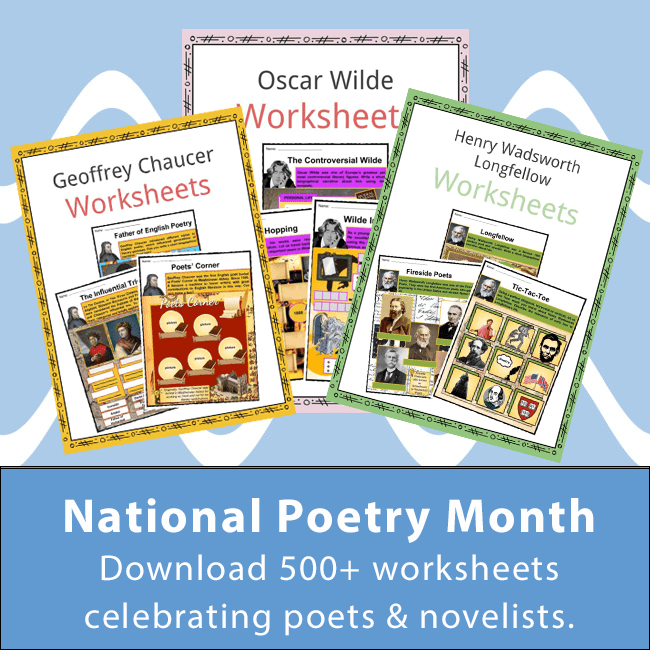 The word “shriek” is not pleasant to our ears, and Poe uses it twice to make it sound harsher. 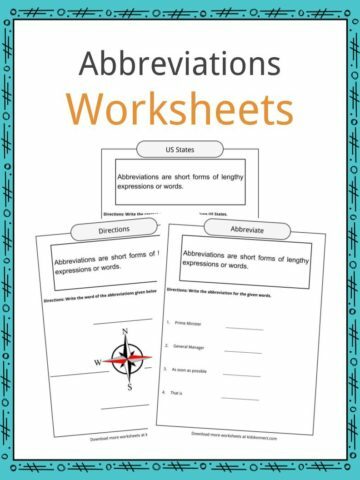 The word “speak” matches the “shriek” to highlight the hard “s” sounds in the words. If you read the two lines out loud, you may find them hard to say. You might have to pause or slow down your speaking in order to say the words correctly. They do not flow together easily. 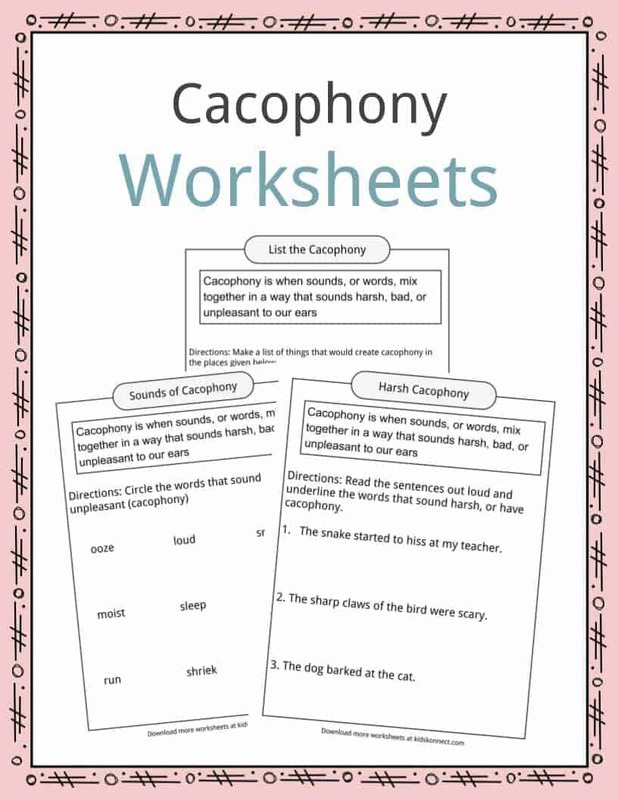 This bundle contains 5 ready-to-use Cacophony worksheets that are perfect to test student knowledge and understanding of what Cacophony is and how it can be used. 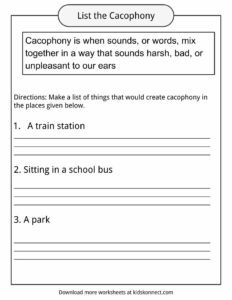 You can use these Cacophony worksheets in the classroom with students, or with home schooled children as well.